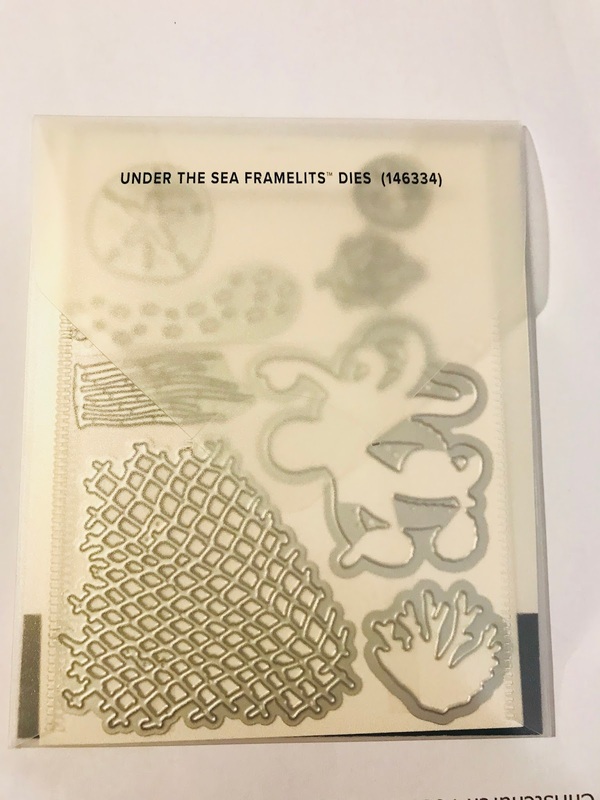 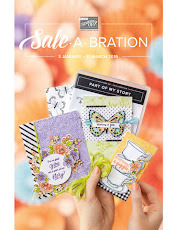 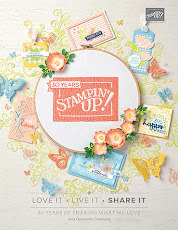 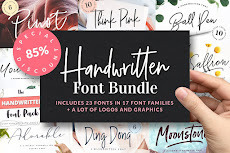 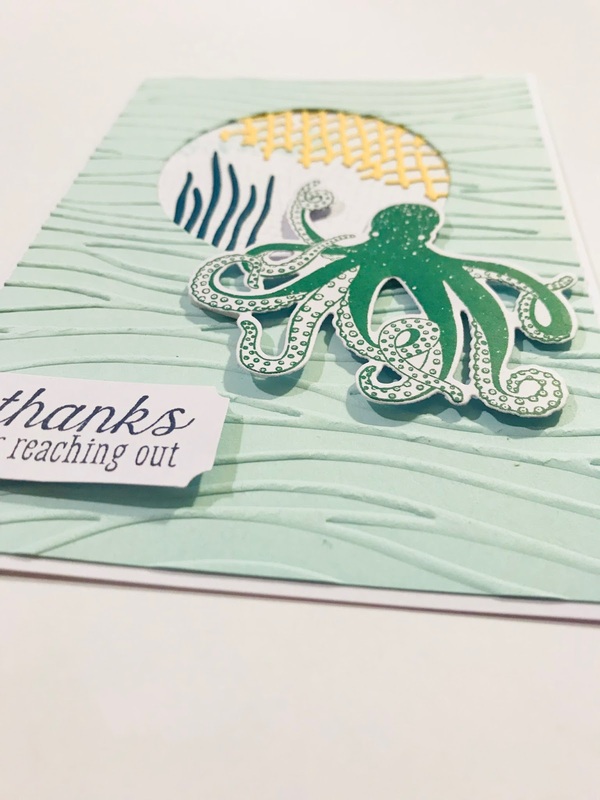 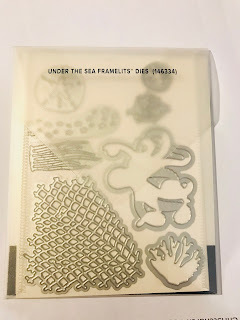 I had Sea of Textures stamp set and Under the Sea dies from new catalogue. 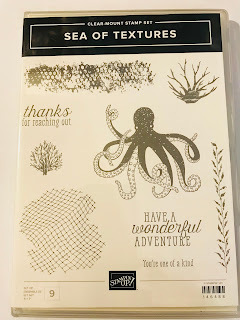 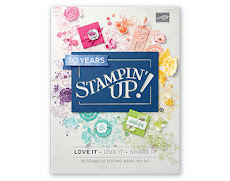 I'm not normally buy ocean stamp set, but when I saw this stamp set I really wanted get it! 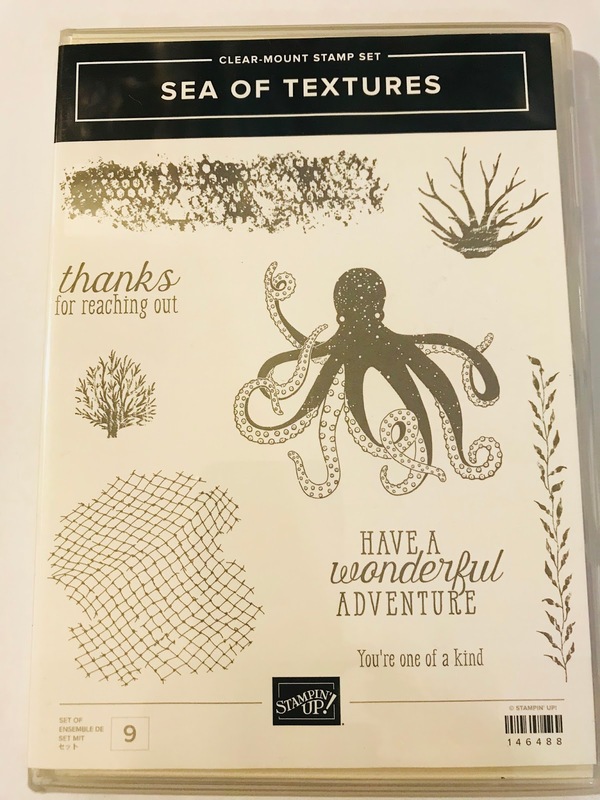 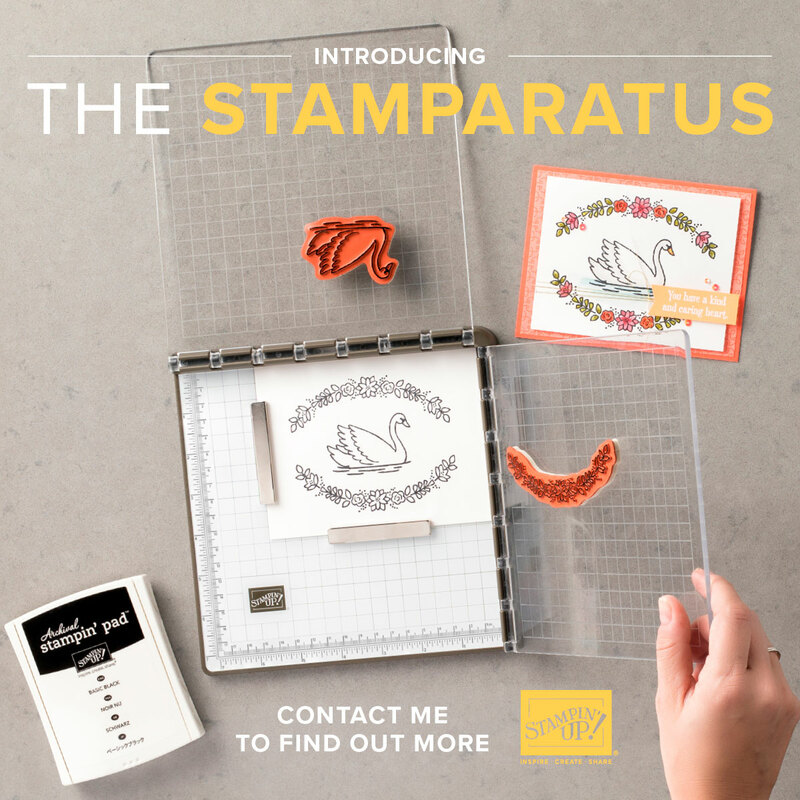 It makes some really cute stuff, and is perfect for those that love ocean adventures. 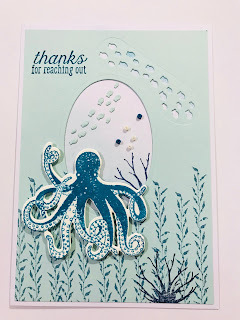 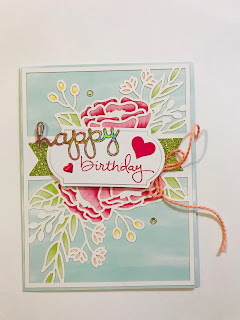 I sponged in Soft Sky and some Marin Mist on the White Whisper cardstock. 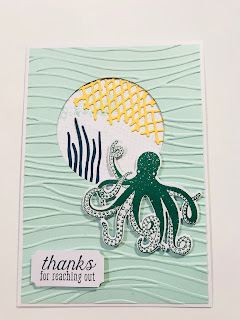 I stamped the sea weed along the bottom in the Marin Mist ink, and the large coral stamp in Night of Navy. By die cutting the oval on the middle and mini fishes. Some decorations fishes and Tranquil Textures Sprinkles. 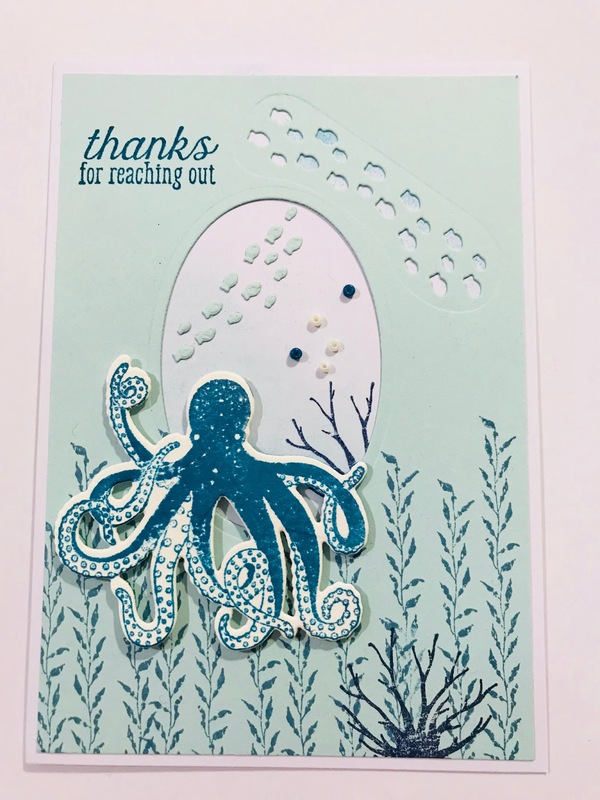 I stamped the scaly texture in Soft Sky on the White Whisper cardstock. 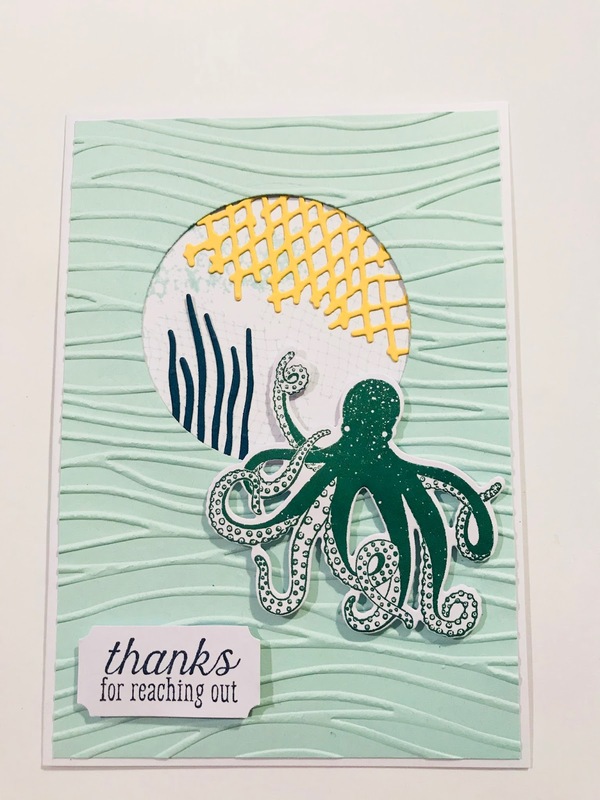 By die cutting the circle and sea weed and scaly. 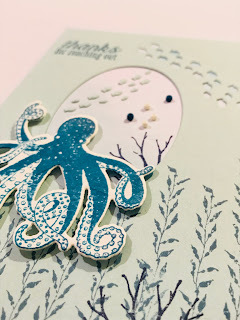 And embossing Seaside Textured on the Soft Sky cardstock.